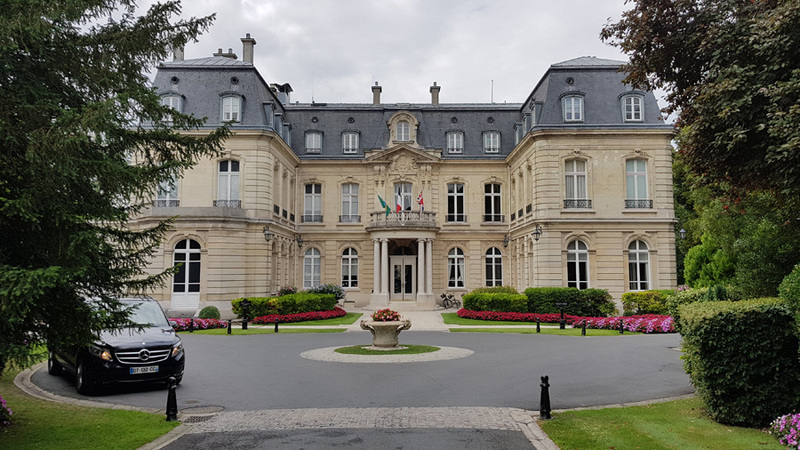 My visit to the Champagne region brought me to the wonderful city of Reims. Not only being the capital of sparkling wine it also is a culinary paradise. At Le Parc at Domaine les Crayeres I enjoyed nothing less than an imperial lunch. The restaurant is situated in a fancy 5 star hotel. 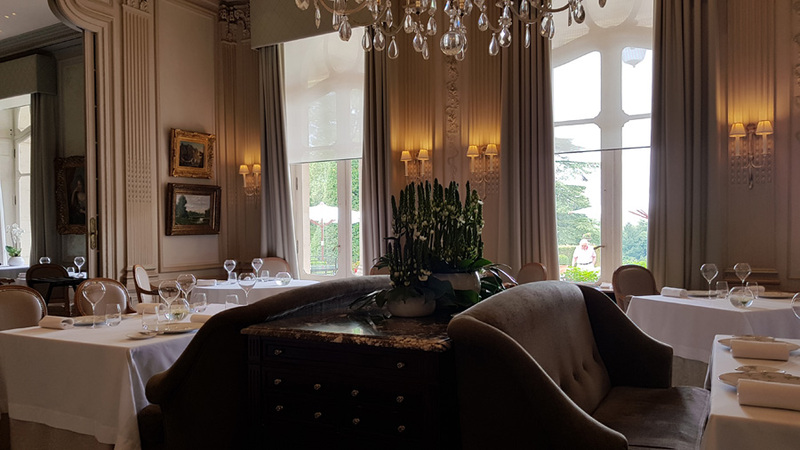 After parking my car in the garden I was brought to the dining room. The interior is very fancy and old school, yet comfortable. For lunch Le Parc offers a three course menu (70€, wine pairing 25€). I especially loved the tartelette that was refreshing, filled with a cheese cream and topped with greens. 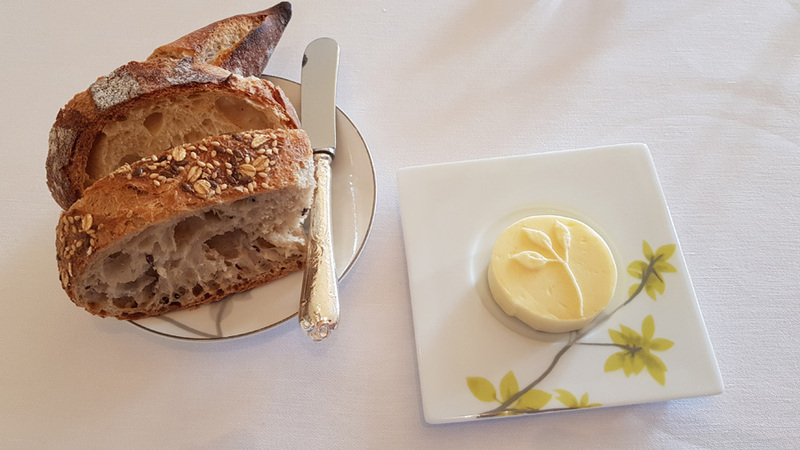 Two sorts of fresh, rustic bagguette and butter – flawless, like you would expect in France. 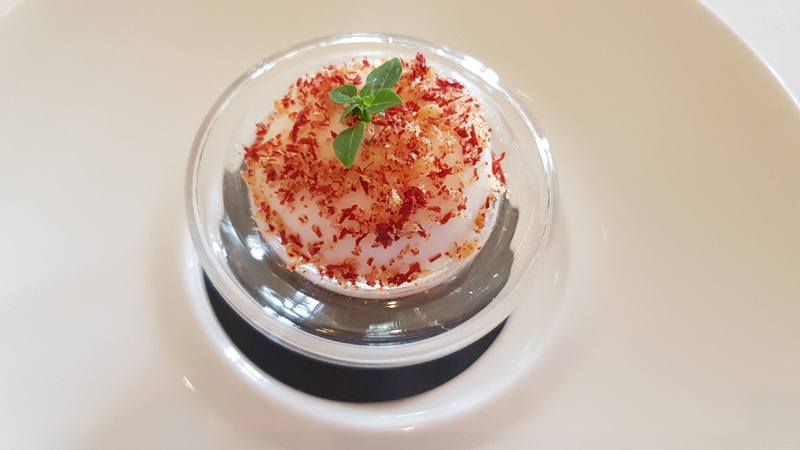 A very fresh tomato tartar was topped with a foam preparation, topped with spices. A fresh palate cleanser. A wonderful dish: The smoked haddock added some intense notes and a rather meaty texture, while the potatoes were soft and waxy. The sauce was full of depth and the sweetness of saffron, binding it together and giving the dish roundness and a comforting character. One of the best main courses I’ve had for long: The potatoes were breathtaking. Glazed with jus, soft, waxy and not at all mealy or crumbly…this was all a potato can be. The baby zucchinis added a fresh greenness, while some hand picked baby mushrooms (look at the uniform size) brought earthy notes into play. And the quail: The leg was shere perfect with it’s firm and tasty meat. 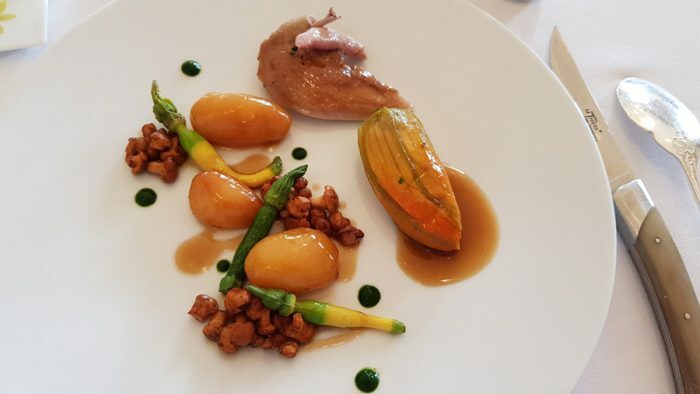 The zucchini flower was a piece of art: Skillfully filled with quail fillet, that was perfectly rosé, juicy and full of taste. Wonderful! 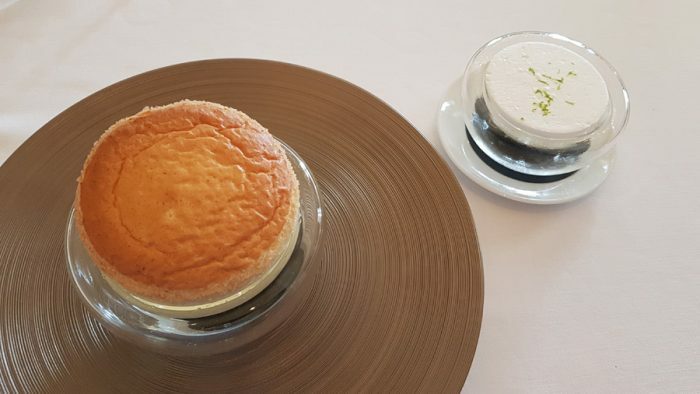 Also the dessert was wonderful: A soft, warm lemon soufflé paired with a lemon and tarragon sorbet that brought a nice temperature contrast. Great and refreshing. 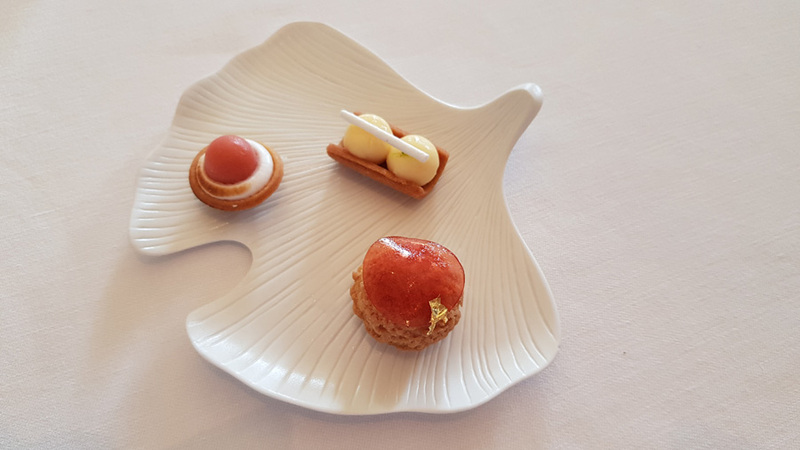 Also the petit fours were great, especially the biscuit sablé. 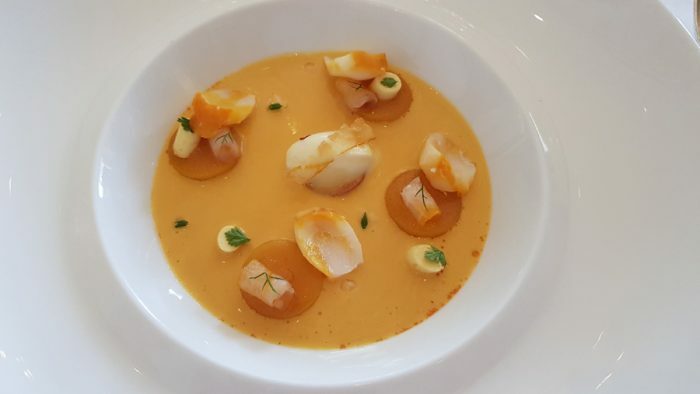 My lunch at Le Parc was really delightful: I loved the traditional approach and the evident focus on high quality products. No chichi, just good products and craftmanship brought to the plate. 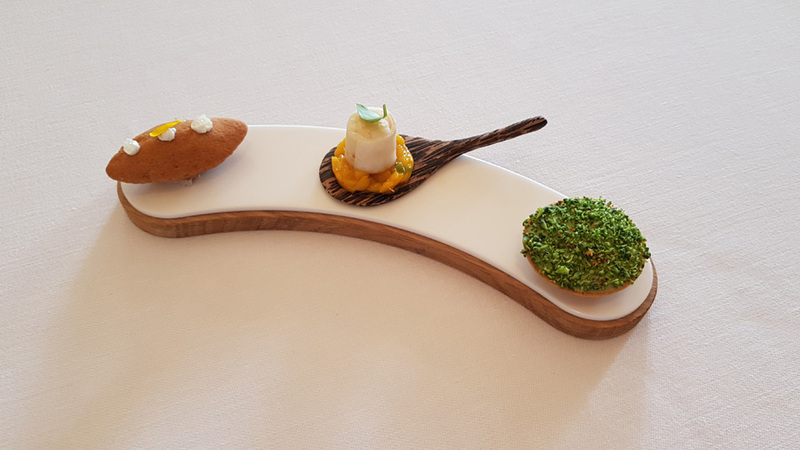 I would definetely go for a tasting menu or a greater a la carte selection next time.